Here at Skedaddle, we’re all about living life to the full on two wheels! 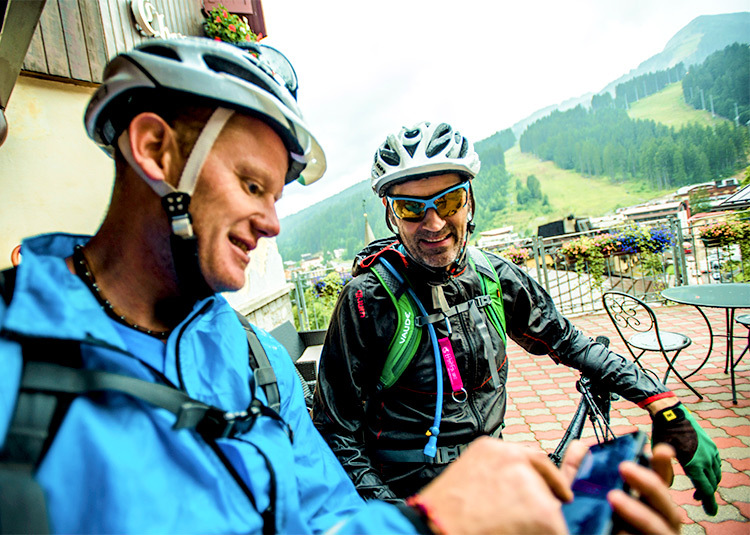 As the cycling holiday experts, we’re dedicated to making sure everyone who joins us has the best experience possible, both out on the bikes as well as at every other stage of the holiday journey. All the details we ask for are important for enabling us to help you have the very best holiday possible! Some are necessary to keep you safe and secure whilst on the bikes and others are needed to make sure each stage of your Skedaddle experience is the very best it could be. Rest assured, we won’t be sending your details off to any external 3rd party companies to hassle you further down the line. Any data we share is with official service providers we work with closely and who would process the data to help us deliver you a great holiday and excellent customer service. It is our personal aim to make sure our marketing materials are as fun and informative as possible and these come jam-packed with fascinating trip features, expert advice and the latest Skedaddle offers. For those signed up to our newsletters, you also have the chance to tell us exactly what topics you’re interested in so you’ll only get the stuff that’s most relevant to you. Because we know minds are made to be changed! You have the right to update your preferences at any time and we have made sure unsubscribing is as easy as possible. Simply head to your account to do so or give our friendly team a call and we can guide you through the process. Saying goodbye is never easy but we know it is an inevitable fact of life! For those of you that don’t want to keep coming back for more Skedaddle fun, the day will come when we no longer need your personal data and after a certain period of time we securely delete from our system. Good vibes and good values have always been at the heart of what we do at Skedaddle and we want our data policy to reflect that! As Elizabeth Denham, the UK’s information commissioner, the lady in charge of data protection enforcement, wisely explained, the new GDPR law is “an evolution, not a revolution” a statement we very much agree with. For more details check out our Privacy Notice.